Their honesty, I feel that is a very delicate business, especially auto repairs and they are just honest and they do good work. They did a fast job and a good job and I didn't have any problems afterwards. They were straightforward and they told me what it was and the timing and the price was good as well. I would most definitely recommend them. They did a great job with me and it was affordable compared with other people. I was very happy with the service. Basically, they got it done. Delta Transmission has been servicing, repairing, replacing and rebuilding transmissions at its Antioch facility since 1958. In addition to general transmission work, the company handles brake repairs and replacements for most vehicle makes and models. It also offers free diagnoses and can take care of insurance paperwork for clients. Areas Served: Serving all of Contra Costa County including Richmond, Antioch, Concord, Pittsburg, Walnut Creek, Lafayette, El Cerrito, Hercules, Moraga and Clayton. In business for more than half a century, Delta Transmission and Engine specializes in transmission service, repair and custom rebuilds. It offers a full range of services, from transmission servicing to complete replacement. The company also handles brake work on most vehicle makes and models. Owner Chester Kniss considers his customers family and treats them as such–”with honest, professional service at a fair price,” he says. For one, that means honoring his quotes. Once Mr. Kniss conducts his thorough diagnosis of your engine or transmission, the price he quotes is the price you pay. Even if he later discovers problems that add to the scope of the work, he won’t adjust his quote upward, which is a common practice in the industry. He’ll sooner take a loss on the job. Similarly, Delta honors its warranties without question or complaint. The company never takes its customers for granted, says Mr. Kniss. He’s happy to explain the work being performed on your car, lay out your options and give you an honest and objective opinion. He never recommends work that isn’t necessary and willingly advises you on ways to save money and extend the life of your car. As a small and family-owned business, Delta is proud of its ties to the community. It sponsors student athletes through two area high schools, as well as a local race track. 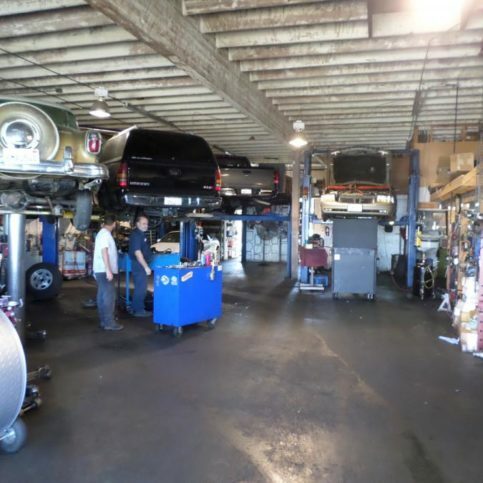 Choose a transmission repair shop willing to stand behind its estimates. Many shops offer low estimates to win your business. 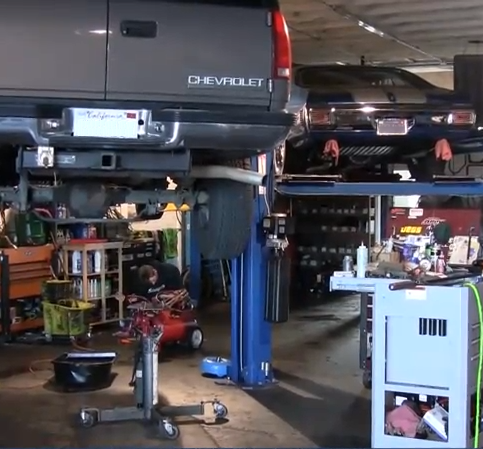 But once they actually have your vehicle in the shop, the price suddenly rises and you have little recourse—at least not when your transmission is lying in pieces on the shop floor. Of course, you can’t always know in advance which shops are honest and trustworthy, but you can do some homework. Start with friends and family members. Even better, drop into a few local auto parts stores and ask about the reputation of local repair shops. Since the employees of auto parts stores are often automobile aficionados, their opinions can be extremely valuable. The most reliable transmission shops are the ones willing to stand solidly behind their work. Never shop by price alone. With an expensive transmission repair, the warranty is a much more important consideration than the price. You don’t want to save money at a cut-rate transmission shop only to discover you need to repair the transmission again down the road. It’s better to pay more for a rock-solid warranty and the peace of mind that goes with it. Consider using shops that have good ratings from the Better Business Bureau, with no unresolved complaints or serious problems with past customers. Ratings services like Diamond Certified can also steer you toward reputable shops with a strong track record of reliable service. If you look, you can probably find a transmission shop that’s been around since before you were born. Take that as a sign. These shops typically owe their longevity to a hard-won reputation for good work, fair dealings and reasonable prices. Q: How much is a diagnosis? A: Every diagnosis at Delta Transmission and Engines is free. Q: Do you do brake jobs? A: Yes. We replace the rotor; we don’t turn them, because they won’t last long. Q: Do you do rear end services or replace rear differentials? Q: My car is leaking fluid, but I have no idea what kind or from where it’s leaking. What can I do? A: Bring it in. We’ll put it on the rack, show you exactly where the leak is and explain what it will cost to fix it. Q: Can you help me with insurance? A: Absolutely. We take care of all the paperwork, the inspection, everything. Q: What if my warranty has expired? A: Obviously we can’t promise anything, but we do whatever we can to help you out. Delta Transmission takes care of its customers’ insurance paperwork. 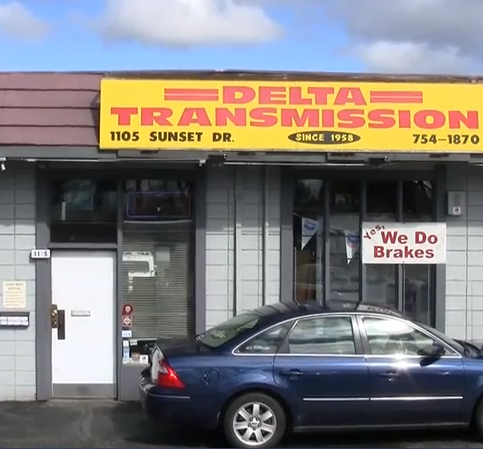 Delta Transmission has been serving Antioch drivers for over 50 years. The shop also handles brake repairs and replacements. 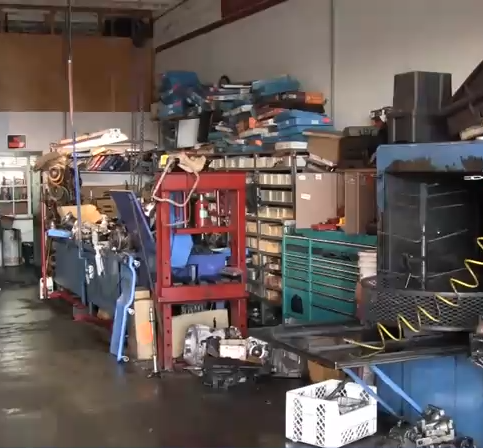 The independently-owned shop performs full transmission rebuilds. 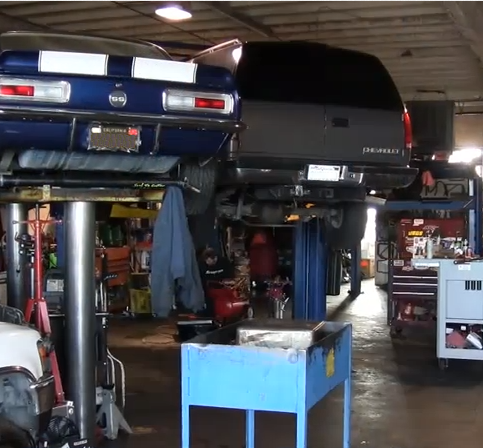 Delta Transmission prides itself on its honest estimates and helpful service. Owner Chester Kniss works on a customer’s car. Delta Transmission has many bays to accommodate multiple jobs. Chester Kniss is a lifetime veteran of the automotive industry and owner of Delta Transmission, a Diamond Certified company since 2007. He can be reached at (925) 709-4984 or by email. ANTIOCH — When asked how he got involved in the auto repair field, Chester Kniss simply replies that he’s always been mechanically minded. “I’ve been interested in cars since I was a little boy, so I picked things up pretty naturally,” he says. “At 10 years old, I was able to accurately diagnose car problems, and by age 15, I’d built my first transmission.” After high school, Chester went directly into the automotive industry, where he started out working on diesel trucks. In 1994, he was hired at Delta Transmission, and 12 years later, he purchased the business from the owner. A: A 1972 Dodge Charger. A: Pretty much any ’60s Ford or Dodge. 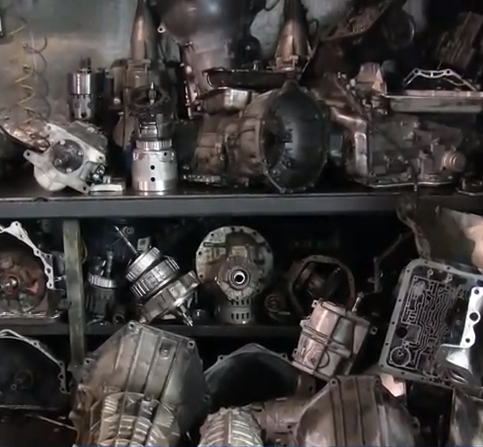 A: Cars and car parts. A: I like “The Fast and the Furious” series. A: Both. I’m up early and I go to bed late. 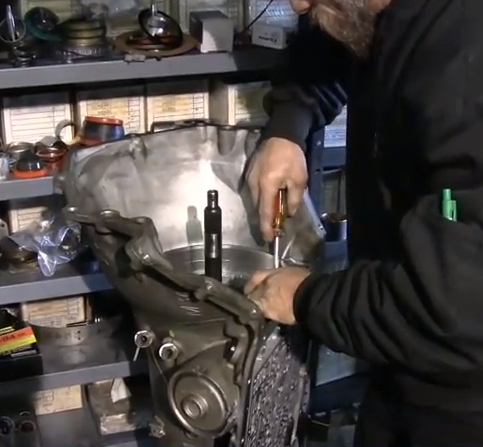 Transmissions: To Flush or Not to Flush? ANTIOCH — Much like a “quick stop” oil change, a transmission flush provides a fast and affordable means of maintaining a vital vehicle component. However, upon closer inspection, this convenient service may not be as good an idea as it appears. The problem with a transmission flush is it only addresses the fluid itself, which means components like the filter and gasket are ignored. While the fluid gets changed, any debris buildup inside the transmission case gets left behind, most of which becomes trapped in the filter. Over time, if the filter becomes plugged up with debris, it can result in a worse issue with the transmission than existed previously. For this reason, instead of having your transmission flushed, take your vehicle to an auto technician for regular transmission service—preferably every 30,000 miles. The technician will remove and replace the pan gasket, filter, and fluid, which will keep your transmission running cleanly and smoothly. 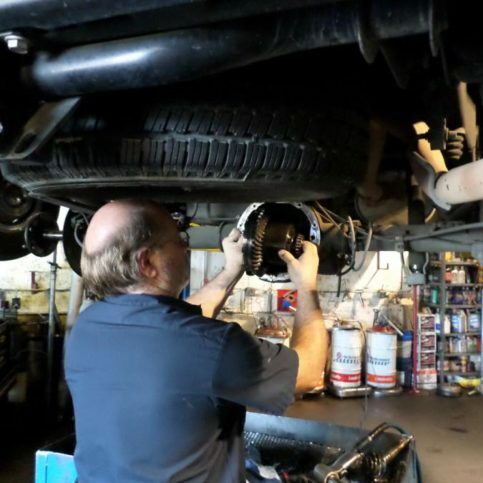 ANTIOCH — Host, Sarah Rutan: A transmission flush is a popular service, but according to some automotive professionals, it may not be such a good idea. Today we’re in Antioch with Diamond Certified Expert Contributor Chester Kniss of Delta Transmission to learn more. Diamond Certified Expert Contributor, Chester Kniss: A common question we get asked about is doing transmission flushes. I don’t recommend a flush because when you do a flush, you’re actually just exchanging the transmission fluid out. You’re not changing the filter and the gasket. And the problem you run into is, on a high-mileage vehicle, they get debris stuck inside the case, and if you put the fluid back into it, it cleans the fluid out, it traps the debris, puts it up into the filter, and, in turn, this plugs the filter up, and causes more issues than you started with, with the transmission. We recommend doing a service to the vehicle. We remove and replace the pan gasket, and the filter, and the fluids every 30,000 miles, to avoid that occurrence. Delta Transmission : Average 9.3 out of 10 based on 300 unique customer surveys of customer satisfaction. Give them a shot. They do great mechanic work. They repaired my car, and I have been driving it ever since. I think Chester is a pretty good mechanic. He was able to figure out why the transmission kept slipping and literally only needed a few hundred dollars to repair it. I thought it was going to cost a few thousand, so I was very satisfied with them. The pricing was great and the work that was done. I needed some rings replaced in the transmission. Chester was able to offer us a really reasonable price. The estimated time it would take was good, and they seemed professional and knowledgeable about what they were talking about. I didn't feel like they were trying to upsell me on anything. I went to another shop, and they quoted me $3,000 dollars, saying that I needed a whole new transmission put in. I took it to Delta, and they resolved the problem for less than $500. First off, I would tell people that they can trust this shop. I know that there is a lot of speculation now days with shops, as some are dependable and others are not. It is hard to tell. I think that this shop is very honest in the way they conduct their services. If they cant fix it, they won't, or if they think that it is not beneficial for you in any way, they will tell you. I felt like I could trust them. They were very professional. Chester is a very personable guy. I felt like I could trust his word. They did good work. I haven't had any problems. The work has held up. I'm very satisfied. I think they run a good shop. They are very personable and give a good explanation of the work that needs to be done. They were good. I haven't had any issues with the work that they did. They got the rebuild done quickly, and everything has been reliable. They got the car running again. I would say, use them. They are a great shop with a knowledgeable team. They knew exactly what needed to be done for the repair and how to do it. They were able to address some issues I was having with a transmission in a Toyota truck. They back their work, and I haven't had any issues. They were quick and guarantee the work that they do. They are very fast and efficient. He made sure to keep in communication with me at all times. The crew is very talented. They were able to get the transmission operational within a few days. They did a good job and it was done when they said it would be and everything worked out well. 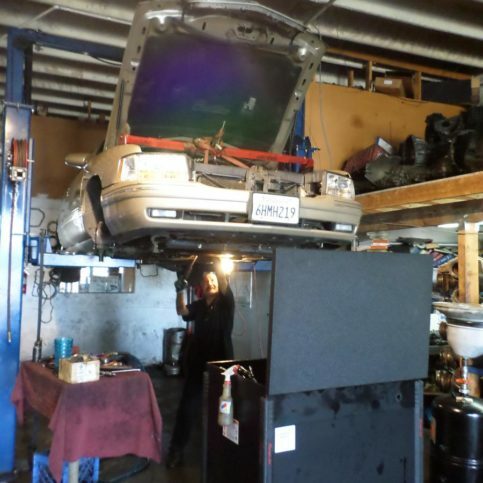 I would say that Delta Transmission is very reliable and I recommend them very highly because of the quality of the service that they provide. They are very thorough and they just do good work. They also stand behind the work that they do. I tell them that first of all, they have been in business for a long time and you don't stay in business that long by doing stuff wrong, which is why I chose to do business with them. They were like family, very informative and very nice and I couldn't have gone to a better place. The information that they gave me about my transmission as it was making noise and they told me that there were metal shavings in it and he couldn't tell me how long it would last, which is information that I greatly appreciated. They are a Diamond Certified rated facility.